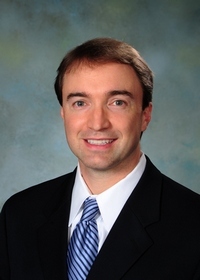 Dr. Aron earned his bachelors degree in chemistry from the University of North Carolina in Chapel Hill, and has practiced dentistry since graduating from the University of Kentucky College of Dentistry in 2001. He and his family have lived in Salisbury, NC since 2003. Dr. Aron is active in his community. He regularly volunteers, at the Community Care Clinic of Rowan County, providing dental services free of charge to those in need. As a board member and liaison to the dental clinic, he assists in maintaining and updating the clinic's functions, protocols, and equipment. He is a member of the Salisbury Rotary Club and First Presbyterian Church. Dr. Aron is actively involved in organized dentistry. His memberships include the American Dental Association, North Carolina Dental Society, Rowan County Dental Society (serving as past secretary, vice-president, and president), and the Academy of General Dentistry. He is married to Teen Aron and has two beautiful children. His 9 year old son Drew loves playing organized basketball, tennis, and golf. His 4 year old daughter Campbell loves dance class and being a princess! If you would like to schedule an appointment with Dr. Brandon Aron, please contact us today!